For a high school senior like Dakota Washington, the only thing worse than enrolling in a different school for her final year is the discovery that she already has a ruthless enemy cruising the halls and waiting to destroy her reputation. 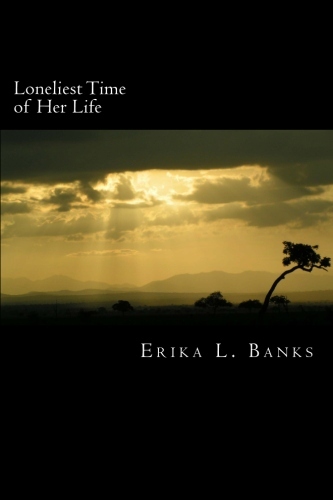 In her edgy new novel, Loneliest Time of Her Life, author Erika L. Banks skillfully juggles multiple points of view against the contemporary backdrop of a high school that every reader will not only be able to relate to but will also cause them to contemplate what their own choices might be in the same volatile situation. Q: What inspired you to make bullying the cornerstone premise of your debut YA novel? A: Bullying has reached epidemic proportions in our schools and communities. The recent spike in bully-related suicides and violence among youth has inspired me to pen my first book, Loneliest Time of Her Life. Q: How much research was involved in capturing the vulnerabilities of today’s young people as well as the cruel realities of what is becoming an escalating problem in schools throughout the country? A: I, unfortunately, had a great deal of knowledge about the vulnerabilities of today’s youth prior to starting this project. I had spoken to and read stories of middle and high school students who experienced bullying first-hand. It was interesting to learn about the characteristics of these young people which are evident in each one of the characters in the book. Q: What role do you believe technology contributes to the way that teenagers – and even adults – are interacting with each other these days versus earlier eras in which texting, iPhones and social media venues didn’t exist? A: Technology has taken bullying to a whole new level. There has not just been an increase in the number of bullying incidents, but the severity of the words and actions used to bully have increased significantly as well. Bullies now have a powerful platform to harass their peers with little to no chance of being caught. Q: It’s often said that there are multiple sides to every story based on individuals’ respective frames of reference and interpretations of events. You’ve taken a unique approach in Loneliest Time of Her Life by not only mixing first and third person narrative but also advancing the plot through the viewpoints of four diverse individuals. Tell us about how you chose that structure and why you feel it works. A: The structure in which the book was written gives the reader a well-rounded view of bullying. I felt that this was important because everyone is involved. Whether you are the bully, victim or bystander, everyone has an opportunity to impact any bullying situation. By presenting the story from the perspective of all involved, the reader is able to identify with and relate to the story in a personal way. Q: Which of the characters do you relate to the most? A: I relate to Brooklyn the most. I, like Brooklyn, am a very fair and impartial person. I stand up for what’s right and I am not afraid to defend something or someone if I think it’s appropriate. I value my friendships deeply and will do everything I can to keep the peace. However, when push comes to shove, I will walk away from friends who bring harm to others and relationships that are filled with drama. Q: If Hollywood came calling with an invitation to adapt this compelling novel to a feature-length film, who would your dream cast be? A: I would love to see Dakota Fanning play Dakota, KeKe Palmer play Brooklyn and Maia Mitchell play Paige. They are very talented actresses and I think they’d do a wonderful job bringing these characters to life. I pulled from them when I developed each of the main characters, so their personalities are reflected in the book. Q: Your three teen females – Dakota, Paige and Brooklyn – have been raised by mothers and fathers with radically different approaches to parenthood. What influence do you feel each of those parents had on the volatile situations in which their daughters subsequently find themselves as seniors in high school? A: I think the parents had a big influence on each of them. Dakota’s dismissive mother and uninvolved father, Paige’s clueless parents and Brooklyn’s uninformed parents hindered their ability to help the situation. They all, in their own way, felt like they had no one to turn to. I believe if the parents were more aware of what was going on in the lives of their daughters, things would not have gone as far as they did. Q: What advice would you give a real-life young person in Dakota’s shoes if she felt she had no one to whom she could turn with her problem? A: Although not always obvious, I believe that everyone has access to someone who could support and offer advice in this situation. Whether a doctor, pastor or neighbor, everyone always has someone to turn to. There are also a lot of great resources out there that people in this situation can use. Stomp out Bullying, The Trevor Project and Stop Bullying are three of many helpful organizations that one can contact for help. Q: What type of impact and takeaway value do you want your readers to come away with by the final chapter? A: I hope that everyone who reads this book will walk away with a deep understanding of each character’s emotions, feelings and reasons for their actions. Because everyone who reads this book will be able to relate to at least one of the characters, I hope that they will learn from the good and not so good decisions made by them. I would love for this book to open up a dialogue between students, parents and school professionals about this difficult topic. Q: This book should be required reading in high schools – and even junior highs – as a starting point for discussions about how to treat one another. Are you taking steps to make that happen? A: Yes, I am hoping to use this book as a basis for book clubs, workshops and informal discussions among high school students, teachers and parents. Q: Although the book is clearly a stand-alone title, you deliver a positively chilling cliffhanger that begs us to ask, “What happened next???? ?” Do you have plans in the works to answer that question with a sequel or do you prefer readers to formulate their own conclusions? A: Both. I do have plans for a sequel, but also want the readers to create their own conclusion. By imagining a variety of possible outcomes, I hope the reader will think beneath the surface and want to take action. Q: Tell us what governed your decision to self-publish Loneliest Time of her Life. A: My initial desire was to publish through a well established publishing agency. There are many books out there about bullying, and these agencies tend to favor already established writers. When considering self publishing, I realized that getting my book out there was the most important thing and how I did that didn’t really matter. I was happy to find several wonderful self publishing companies available to choose from to publish my work. Q: What do you know now about the business of publishing and marketing that you didn’t know when you first set out to write the book? A: Publishing through an agency has its advantages, but I learned that it may not always be the best way to go. Self publishing has come a long way and is much more respected today than it was years ago. I also learned that marketing is key. Whether you self publish or publish through an agency, you must be willing to devote time to marketing your work if you want it to be successful. Q: Have you done other types of writing in addition to YA? A: I have self published a second book called High School Graduation: What I Want For My Life. It is a book for high school seniors graduating without a plan. A: You will find a little bit of Erika in Dakota, Paige and Brooklyn. In high school I was in each of their shoes at one time or another. A: In addition to my full time corporate job, I am working on a few projects. I am working with Georgia Tech to identify a way to effectively help high school students prepare for post high school life. I am also in the process of setting up The Margaret G. Banks Foundation, a non-profit foundation in honor of my mother. It will provide scholarships to high school students who would like to go to college but need financial assistance. I am also working on another book for high school students that will help them do what they need to do now so they can do what they want to do later. A: Our youth have so much to be excited about when it comes to their future. Unfortunately, many of them are not. We need to do better in helping our youth not only prepare for their future, but provide bully free environments where they can focus on learning, creating and becoming everything they were meant to be. I’m excited about the future of our youth and it’s time to get them excited, too!